The days are getting longer and temperatures are finally rising. 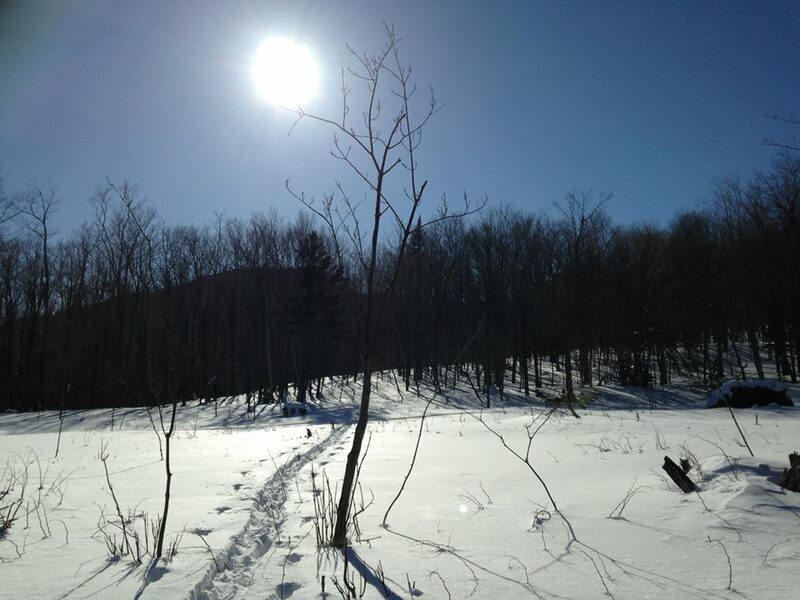 With winter loosening its grip on the Randolph Community Forest, we thought we’d share a few final wintry images from the Community Forest that have come to us recently. The first two are from Berlin resident Racheal Stuart. 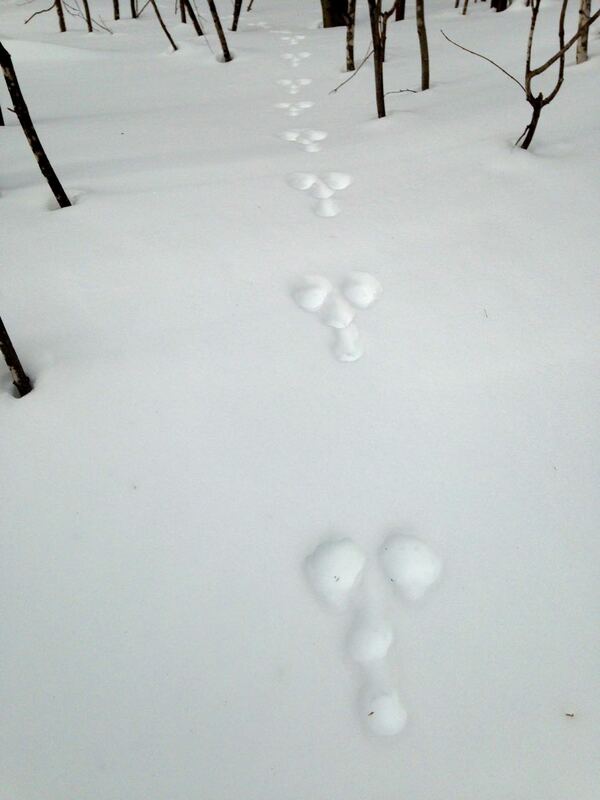 The tracks are from a snowshoe hare, also called a varying hare, since its fur changes from brown in the summer, to snow white in the winter– very effective camouflage. The snowshoe name comes, of course, from the size of their rear feet– the large surface area keeps the hare from sinking into the snow. 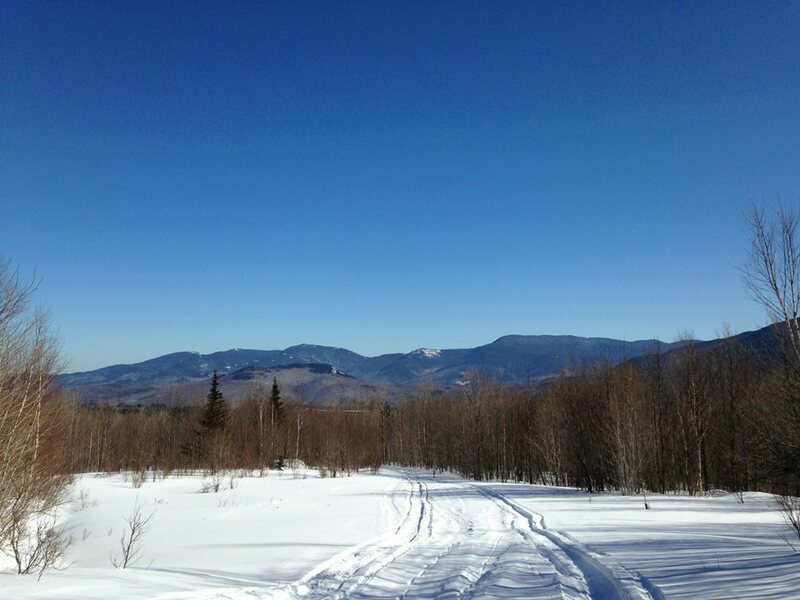 Both photos were taken while skiing on some of the informal backcountry ski routes on the Community Forest. 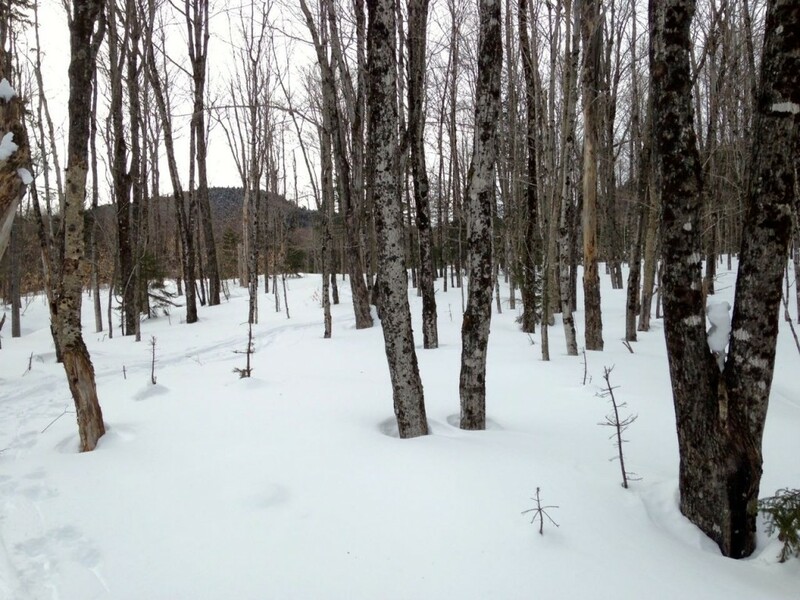 With a deep snowpack but warmer temperatures, now is arguably the best time of the winter for skiing and snowshoeing on the Community Forest. 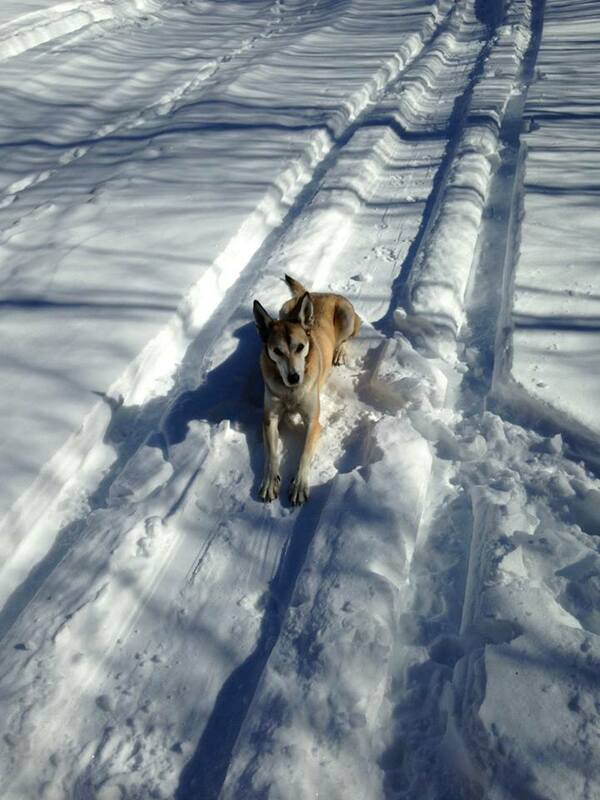 Here are some photos from Randolph’s Chris McKnight, taken one afternoon last week while skiing on the Forest with his sidekick, Stella, a retired sled dog. 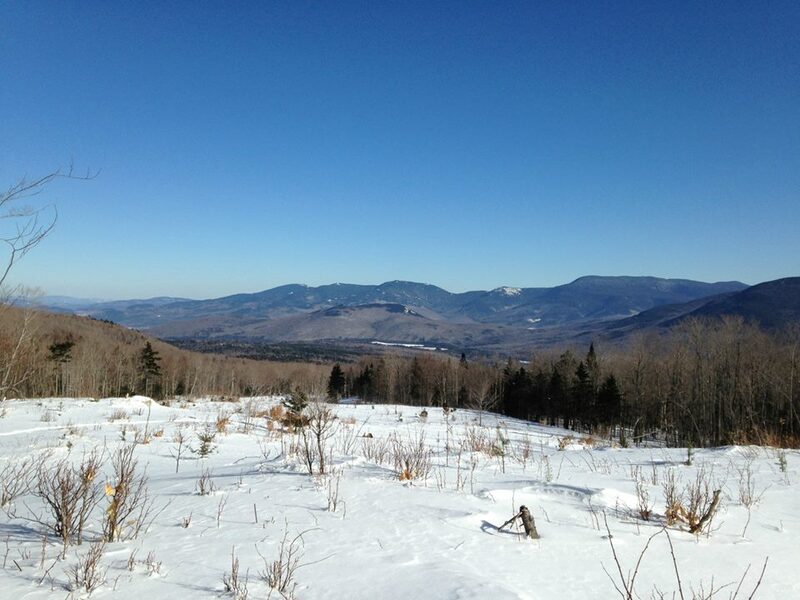 The photos are taken from near the Mount Crescent Water Company Reservoir, and from a wildlife opening just west of the Carlton Notch trail, about halfway to Crescent Ridge from the new Community Forest Trailhead. If you’re out and about on the Randolph Community Forest, please share your photos with us! Email them to us, anytime, and we’ll post them right here. Thanks!